Familial hypercholesterolemia is a disorder that is passed down through families. It causes LDL (bad) cholesterol level to be very high. The condition begins at birth and can cause heart attacks at an early age. Familial hypercholesterolemia is a genetic disorder. It is caused by a defect on chromosome 19. The defect makes the body unable to remove low density lipoprotein (LDL, or bad) cholesterol from the blood. This results in a high level of LDL in the blood. This makes you more likely to have narrowing of the arteries from atherosclerosis at an early age. The condition is typically passed down through families in an autosomal dominant manner. That means you only need to get the abnormal gene from one parent in order to inherit the disease. In rare cases, a child may inherit the gene from both parents. When this occurs, the increase in cholesterol level is much more severe. The risk for heart attacks and heart disease are high, even in childhood. In the early years there may be no symptoms. A physical exam may show fatty skin growths called xanthomas and cholesterol deposits in the eye (corneal arcus). People from families with a strong history of early heart attacks should have blood tests done to determine lipid levels. 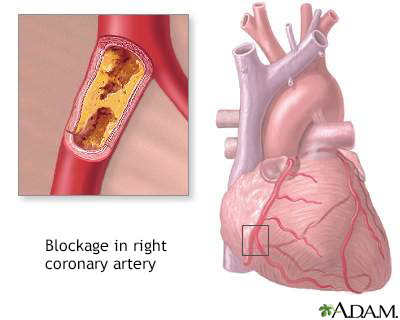 The goal of treatment is to reduce the risk of atherosclerotic heart disease. People who get only one copy of the defective gene from their parents may do well with diet changes and statin drugs. The first step is to change what you eat. Most of the time, the provider will recommend that you try this for several months before prescribing medicines. Diet changes include lowering the amount of fat you eat so that it is less than 30% of your total calories. If you are overweight, losing weight is very helpful. You can lower the amount of cholesterol you eat by eliminating egg yolks and organ meats such as liver. It may help to talk to a dietitian who can give you advice about changing your eating habits. Weight loss and regular exercise may also help lower your cholesterol level. If lifestyle changes do not change your cholesterol level, your provider may recommend that you take medicines. There are several types of drugs available to help lower blood cholesterol level, and they work in different ways. Some are better at lowering LDL cholesterol, some are good at lowering triglycerides, while others help raise HDL cholesterol. Many people will be on several medicines. Statin drugs are commonly used and are very effective. These drugs help lower your risk of heart attack and stroke. Fibrates (such as gemfibrozil or fenofibrate). PCSK9 inhibitors, such as alirocumab (Praluent) and evolocumab (Repatha). These represent a newer class of drugs to treat high cholesterol. 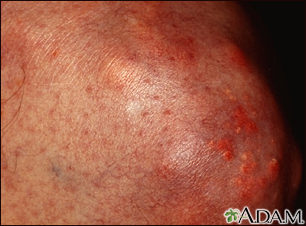 People with a severe form of the disorder may need a treatment called apheresis. Blood or plasma is removed from the body. Special filters remove the extra LDL cholesterol, and the blood plasma is then returned to the body. How well you do depends on how closely you follow your provider's treatment advice. Making diet changes, exercising, and taking your medicines correctly can lower cholesterol level. These changes can help delay a heart attack, especially for people with a milder form of the disorder. Men and women with familial hypercholesterolemia typically are at increased risk of early heart attacks. Risk of death varies among people with familial hypercholesterolemia. If you inherit two copies of the defective gene, you have a poorer outcome. That type of familial hypercholesterolemia does not respond well to treatment and may cause an early heart attack. Seek medical care right away if you have chest pain or other warning signs of a heart attack. Call your provider if you have a personal or family history of high cholesterol level. A diet low in cholesterol and saturated fat and rich in unsaturated fat may help to control your LDL level. People with a family history of this condition, particularly if both parents carry the defective gene, may want to seek genetic counseling.